Our range of products include reflex level indicator and float and board type level indicator. Owing to our rich industry knowledge, we manufacture and supply a qualitative array of Reflex Level Indicator. These indicators have slotted chamber manufactured using single piece bar stock, which is clamped firmly on the chamber using carbon steel cover plates using with CS "U" bolts & nuts. 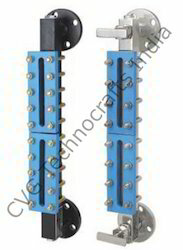 This reflex level indicator is manufactured from high grade as per the set market norms. The offered reflex level indicator is accessible in different models, sizes and stipulation to meet the various requirements of the customers. In addition to this, our professionals are capable to modified this reflex level indicator within the minimum time – frame & at affordable rates. Liquid Chamber : Machined out of single piece bar solid bar stock made of M.S./S.S./P.P. 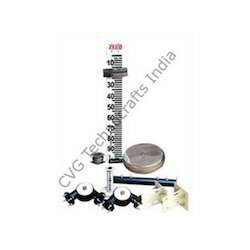 We Are Leading Manufacturer And Exporter Of Float And Board Type Level Indicator.